Our guest this week is St. Louis City President of the Board of Aldermen and mayoral candidate, Lewis Reed. Reed became the second official candidate for Room 200, a seat occupied by Mayor Francis Slay for the past 15 years. 28th Ward alderwoman Lyda Krewson was the first to announce a run in June. Listen to Lyda on the Future Great City podcast here. Reed is currently in his third term as president of the Board of Alderman, a citywide elected office. Prior to that office, Reed was elected to two terms as alderman for the city’s 6th Ward. He unsuccessfully challenged Slay in the 2013 mayoral contest (a look at results from that primary). 2013 saw basically a one-on-one primary, while the coming contest could feature a half-dozen or more candidates vying for the open seat. Our conversation with Lewis Reed ran well over an hour as we veered off into talking cycling and the city near the end. As a result, this podcast is presented in two parts. Listen to part two of our podcast with Lewis Reed here. St. Louis, Missouri-President of the Saint Louis Board of Alderman Lewis Reed released a video today (August 8, 2016) as an introduction to the community on his candidacy. Reed had previously made it public that he will be running for mayor, but this is the official announcement and first campaign communication. In the video, Reed highlights his diverse family life and why it is always best to include diverse opinions & perspectives, compassion and respect for others when addressing an issue. 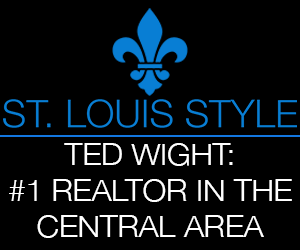 Also highlighted is his success in spearheading development in Lafayette Square and on Washington Ave as Aldermen of the 6th Ward, creation of Bike St. Louis, creating funding sources for youth programs, and bringing the NextDoor platform to the City of St. Louis. The Future Great City podcast by nextSTL is sponsored by Red Brick Realty.